Explore the printable brain boosters below or go directly to my store at Teachers Pay Teachers. Heads up: When you decide to make a purchase, the Teachers Pay Teachers website requires one more easy sign up. “See” you there! Visual tracking skills allow us to efficiently track our eyes from left to right. This helps us read with better fluency and even helps us complete tasks quickly. tend to skip words or lines while reading, or insert random words from different lines of the text. regularly reverse letters and/or words, i.e., reading saw instead of was and vice versa. easily lose their place while reading or while taking tests. 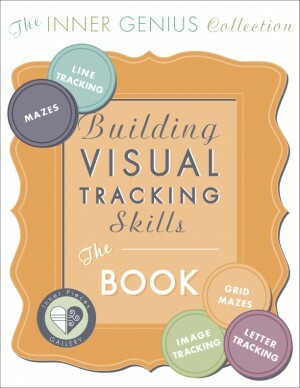 Try each activity individually ($4) or save 25% on Building Visual Tracking Skills – THE BOOK, a downloadable, printable e-book that includes everything above. Visual memory skills allow us to remember information we take in through our eyes and process. struggle with reading comprehension or remembering what they read. copy written information (from the white board, for example) only one or two letters at a time. 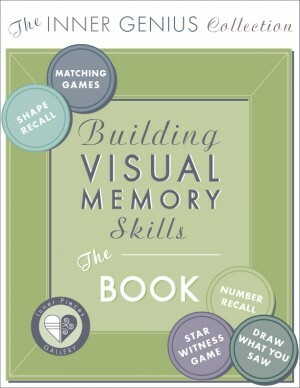 Try each activity individually ($4) or save 25% on Building Visual Memory Skills – THE BOOK, a downloadable, printable e-book that includes everything above. Auditory memory skills allow us to remember information that we hear. struggle to follow through with instructions, especially when presented orally. Repeat After Me | Grid Art: Geometric Animals | I Heard a Mixed Up Word | Hear the Hidden Message | Which Word Goes Where? 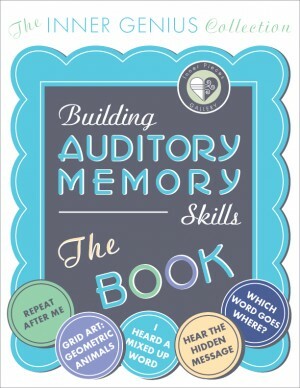 Try each activity individually ($4 – $7) or save 25% on Building Auditory Memory Skills – THE BOOK, a downloadable, printable e-book that includes everything above.